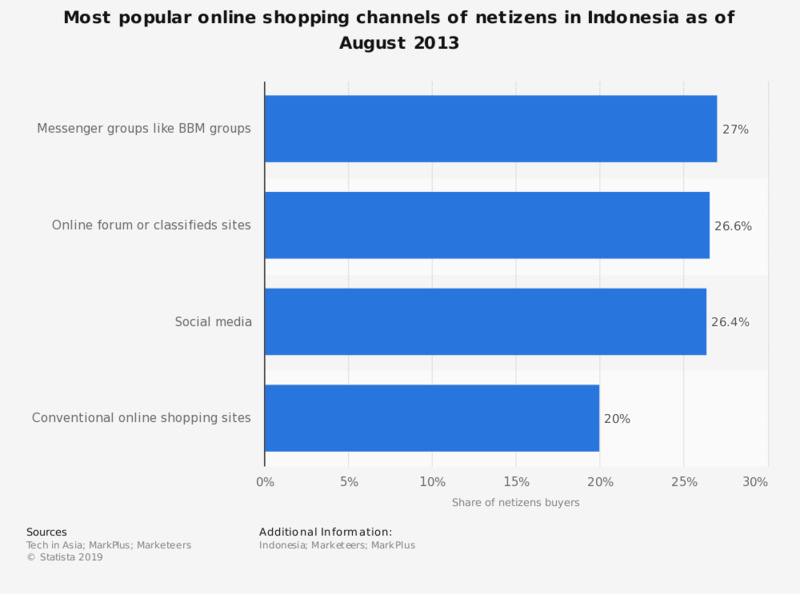 This statistic shows the most popular online shopping channels of netizens in Indonesia in 2013. It was found that 27 percent of Indonesian netizens had purchased items through messenger groups like Blackberry Messenger groups. Netizens are defined as internet users who spend at least three hours online per day. Respondents were living in 10 major cities and middle to higher income citizens.